Students frequently ask me whether they should be doing hara breathing all the time. Briefly, the answer is “yes”; however, there are some nuances that are worth discussing here. 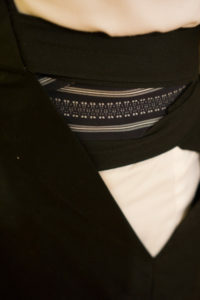 Usually, once the question is clarified, it turns out that the student is really asking whether he or she should breathe from the hara in an exaggerated manner – as in “Ah Um” breathing or other intensive hara development exercises (see Hara and Martial Arts: Ah Um Breathing), at all times. The answer to that question is “no”. The point of these exercises is to develop and deepen one’s ability to perform hara breathing. They are the breathing equivalent of lifting weights – something one does for discrete training periods. Just as lifting weights develops muscular strength, the hara development exercises foster breathing capacity. As I have written before, one runs the risk of appearing eccentric if one goes around grimacing and making noises like Darth Vader all the time. I know, I’ve been there. In other instances, the person is really asking whether he or she should be putting conscious attention in the lower abdomen in order to be able to do hara breathing all the time. 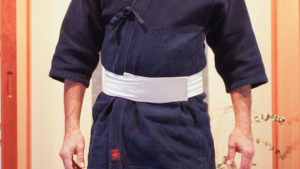 In the early stages of hara development, most people have to focus their attention on the lower abdomen in order to figure out how to breathe with the hara. In daily life, they have to remind themselves of the hara repeatedly. However, with continued training, hara breathing should become automatic. That is, one can maintain the expansion in the lower abdomen whether inhaling or exhaling, without having to think about it. This should induce a change in one’s physiognomy (lower center of gravity, less muscular tension in the upper body) and in one’s mental state (increased time in samadhi). 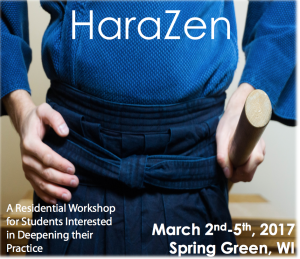 Of course, even an experienced practitioner might notice from time to time that his or her hara has “risen” and will need to intentionally set the hara. Or, there are times when increased physical exertion (eg lifting a heavy weight) might require conscious attention on the hara. 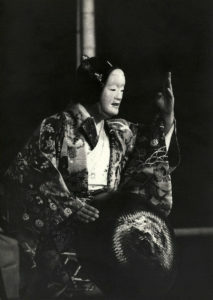 However, once a person is experienced in hara development, they should not need to frequently place their conscious attention on the hara in everyday life. 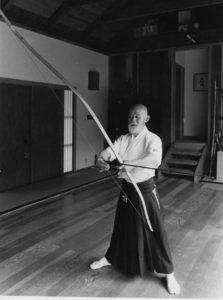 So, circling back to the original question, one should aspire to doing hara breathing all the time – not just when doing zazen, martial arts or hara development exercises, but also in one’s daily activities. In the early stages, one might need to practice this deliberately. For example, for many years my colleague Gordon Greene and I have run workshops for physicians and healthcare professionals on how to apply Zen principles to their work. One exercise we have them do is to practice taking several hara breaths before knocking on an examination room door (in the U.S., unlike many other countries, physicians go to the patient’s room, rather than the patient going to the physician’s). This can enable them to enter the room in a state of samadhi. Sometimes we have them practice knocking and entering with and without taking those breaths. 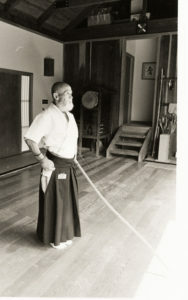 Most participants notice a big difference in their clarity of mind when they set the hara first. During one of the first workshops we ran, one of the participants was a very seasoned family physician and educator who practiced in the same clinic as I did. Shortly after the workshop, he came running up to me in the clinic, practically shouting: “I tried it; it worked!” I asked him what he had tried. He said, “I set my udon before I knocked on the door! I could see 180 degrees when I walked in.” He went on to tell me how much his breathing helped him listen to the patient. While he knew that there was a Japanese word for lower abdomen, he couldn’t remember what it was. In place of “hara,” he substituted “udon” (a kind of wheat noodle). Linguistic confusion aside, this doctor became a vocal proponent of hara breathing at work. We continued to joke about setting his “udon”. Life gives opportunities for everyone to practice hara breathing. With practice, you can breathe from the hara all the time.